Anyone else feel like this time of year they are constantly eating sugar, sugar, and more sugar?! Don’t get me wrong, I love treats as much as the next pregnant lady, but I can only handle all that sugar to a certain extent! My family and I have been trying to choose some healthier options during the week and saving higher-calorie, sugary snacks for special occasions. In between my husband’s work party, my work party, family parties, and a million other holiday functions, it felt so good to just sit down and watch a festive movie with just the two of us. 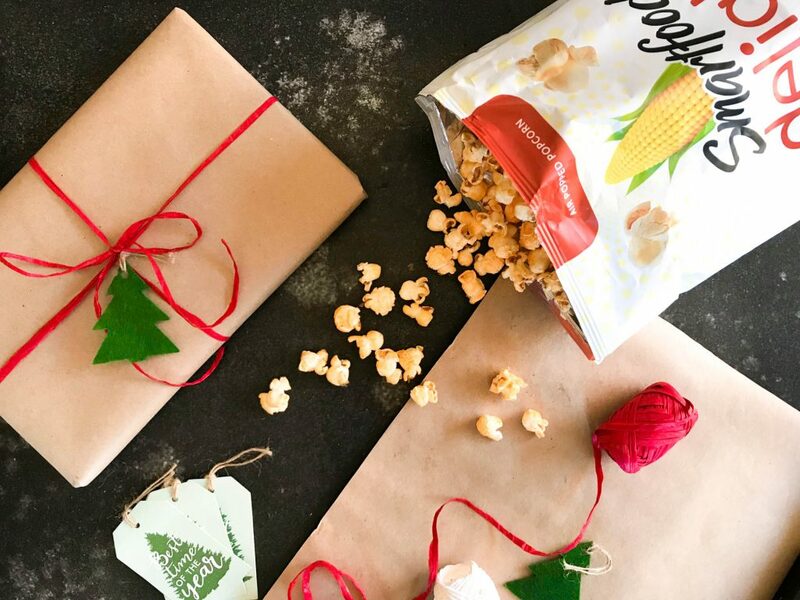 Instead of sitting down with a bowl full of candies, we opted for some SMARTFOOD DELIGHT® White Cheddar Flavored Popcorn. With only 35 calories per cup, no artificial colors, flavors, or preservatives, 100% whole grain, AND gluten free – it was a wife win ALL AROUND. 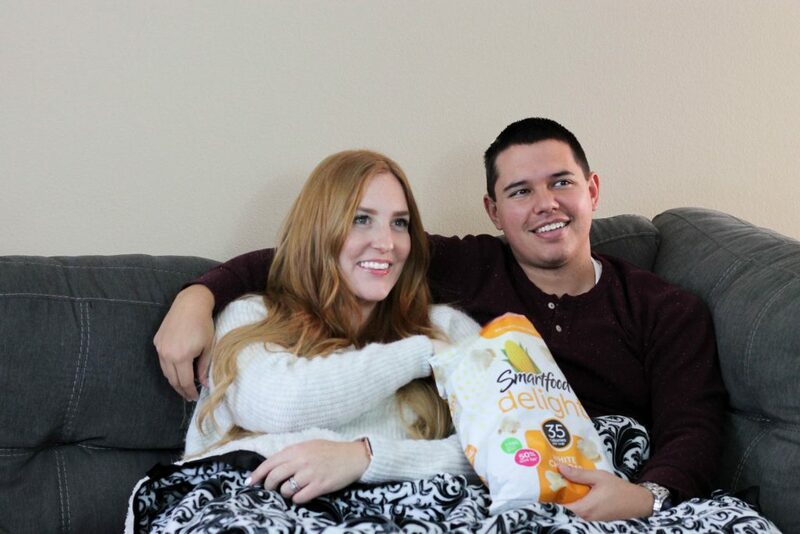 We absolutely loved the down time, and the popcorn – and I didn’t feel one bit of guilt enjoying it with him. We liked it so much I bought another bag for just me to enjoy while I wrap presents and address Christmas cards. The SMARTFOOD DELIGHT® Chipotle Aged Cheddar is a new personal fave. 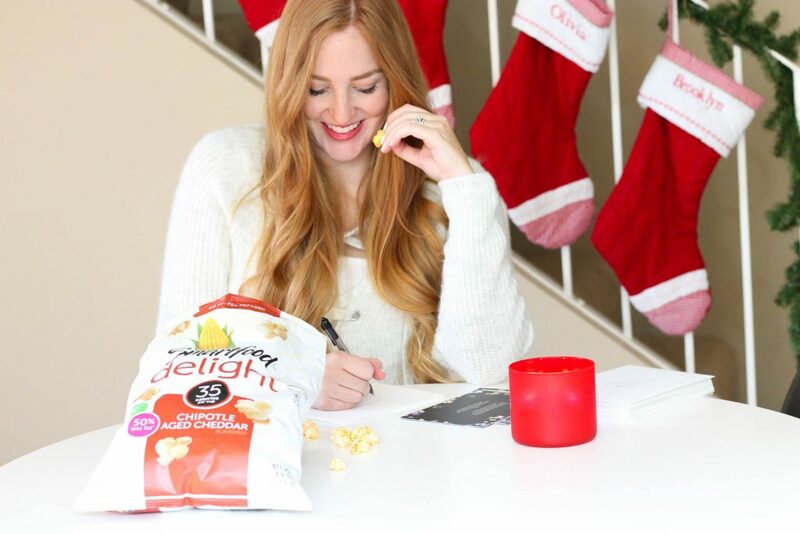 What are your favorite good-for-you snacks during the holiday season? Want to know where you can find these near you? Check out the STORE LOCATOR HERE. This is a sponsored conversation written by me on behalf of Frito-Lay. The opinions and text are all mine.